Sometimes I just need to make something. When I get that urge to create, my friend and I head to the thrift store and I wander around until something looks like a good project. These frames were scratched and ugly. A quick sanding, a little paint, distressing and lastly waxing. They were looking better but needed more. 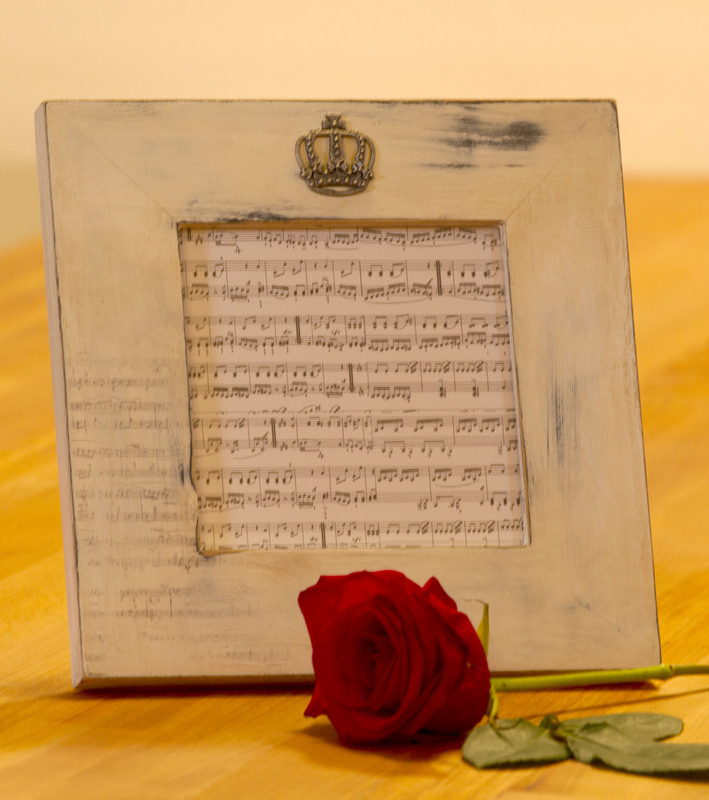 I grabbed a music stamp and lightly stamped the white frame and distressed where I stamped. I added the crown with E6000 and decided it was done. 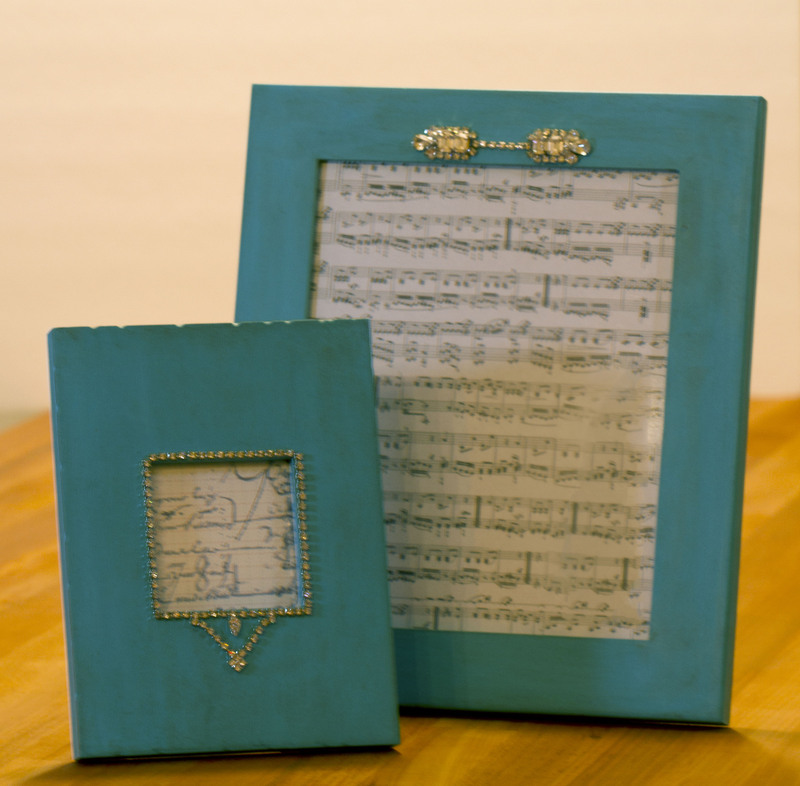 The color of the turquoise frames turned out beautiful but I wanted to add a little bling. I had some old rhinestone jewelry that was broken so I cut up a necklace and removed ear-ring clips and applied the jewelry to the frames. Now I am happy with them. Making over a frame is easy to do and no special tools are needed to create a frame to go with your home decor. Don’t forget to add photos! 10 Feb	This entry was published on February 10, 2014 at 4:29 pm. It’s filed under DIY, Re-purpose, Re-purpose Gallery and tagged Frames, makeover, photo frames, re-purpose, rhinestone jewelry, upcycle. Bookmark the permalink. Follow any comments here with the RSS feed for this post.